You will find all kinds of crazy stories like this looking through micro fiche. especially from before the 1960's! A Totally ridiculous story, but still interesting to hear. That article was ridiculous. To say a man would reach a height of 7 foot 6 inches is just silly. Cliff - I totally agree. I am constantly amazed at the alternative "theories" put forth, even by noted scientists, in an effort to explain away the possible existence of unrecognized manlike primates in our wild areas. One of the most ludicrous examples of this is the scenario presented by Dr. Jack Rink on "Sasquatch - Legend Meets Science" that suggests that many of the sightings in the Pacific NW are actually Native American medicine men who have gone alone into the forest on some kind of 10-year "vision quest", and have reverted to some kind of feral human, smelling badly and uttering wild shrieks as they terrorize any intrepid hikers who dare to disturb their communion with the Great Spirit. Hogwash. I commend Dr. Meldrum for keeping a straight face during Dr. Rink's public venture into fantasyland. It was truly laughable, but also very sobering when you consider that many viewers will conveniently accept such theories, rather than entertain the possibility that these beings do in fact exist, despite the dearth of hard-line, conventional scientific "proof" (i.e., a body). Acceptance of the species will spread when, and probably only when, physical evidence is found and goes under peer review by the scientific community. If foot print casts are the best evidence the Bigfoot community currently has to offer then there needs to be a push in the community for peer review with various scientists (more than just our esteemed Dr. Meldrum). 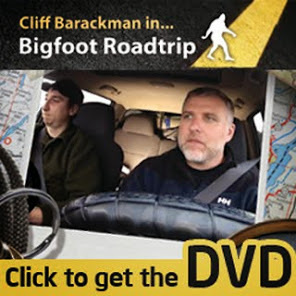 Since really delving into the Bigfoot issue I am really shocked that people are not doing this. One can not complain of a species not being accepted if one is not doing the actual work of science. They had camera traps in 1958?